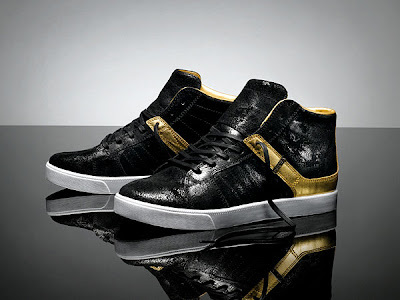 The 'Distressed' Pack features a black distressed leather upper with gold highlights and a white vulcanized sole. The 'Black Pony Hair' Pack features a black upper made from perforated paneling and black pony hair. Currently neither an official release date or pricing is known so stay tuned for more info in the following weeks. JUSTIN BIEBER WERES THESE IN SOMEBODY TO LOVE !!!!!!!!!!!!!!!! !